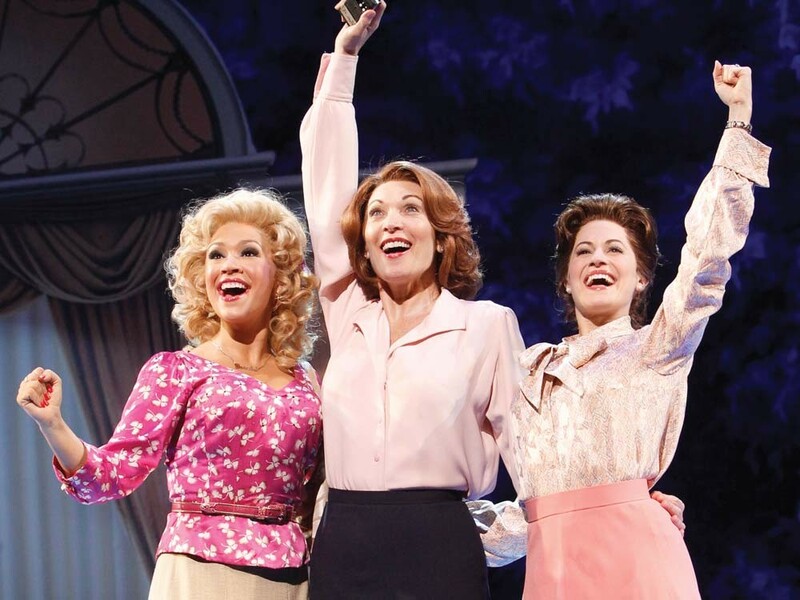 Violet, Judy and Doralee are still stuck with that sexist boss. But now they're singing about him. And against him. Dee Hoty (middle) is a singing, dancing Lily Tomlin in 9 to 5. If you’re performing in the musical version of a movie that everybody knows, and you’re playing a part identified with a particular actress, then here’s how to pay her homage: Rip her off. But be nice about it. In the national tour of 9 to 5 (March 24-27 at the INB Center), Dee Hoty is playing the Lily Tomlin role of Violet, the office veteran who mentors two co-workers in their shared struggle against their sexist jerk of a boss. Late in the first act, for example, when the three women fear they’ve accidentally poisoned the boss’s coffee, everybody runs off seeking medical help. “In the hospital scene, when everyone is going berserk and totally losing it, I’m very controlled in the way [director] Jeff [Calhoun] has redone the show,” Hoty says. Hoty’s wily veteran is joined by Judy the newbie (Mamie Parris) and Doralee the hubba-hubba blonde (Diana DeGarmo, the American Idol runner-up in 2004, the year of Jennifer Hudson and William Hung). Hoty doesn’t need a flashy onstage role. “I don’t have a giant ego, because that won’t get you very far in this business,” she says. “I mean, when I roll out of bed in the morning, I’m not thinking of myself as ‘three-time Tony nominee Dee Hoty.’” She’s thinking of herself as a working actor who’s got a job. (She’s already working with her agent, lining up a play for after this tour ends in July.) She’s thinking of herself as someone who gets to sing Dolly Parton’s music and lyrics — the title tune, of course, and the song for Judy’s introduction to office life, and the songs for each of the three women’s revenge fantasies. There’s a song when they realize that they’re being opposed by the boss’s right-hand woman, a song when they triumph, and songs for when they rid themselves of useless men and start to realize their own potential. But 9 to 5 isn’t just a chick show. It’s chick-empowering — especially if you sing about it.